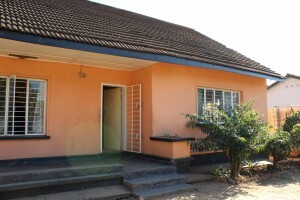 The Chisomo Street Kids Project works in Lusaka, Zambia, providing intervention for kids on the street, running a Drop-In Centre and facilitating prevention work with women and their families in some of the poorer areas of the city. 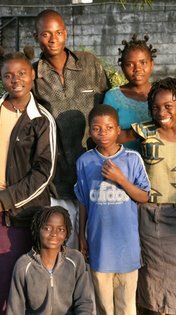 The mission of Chisomo is to the street children of Zambia, children who are forgotten or ignored, victims of the global HIV/AIDS crisis or just of systemic and crushing poverty. 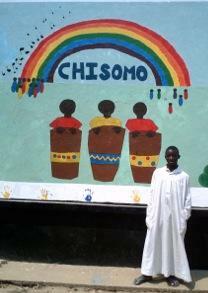 Chisomo strives to offer a safe haven for them where they can receive shelter, food, clothing, education and counseling. Through its programs of tracing and reuniting, Chisomo works to reintegrate street children into their home communities and families, which is ultimately the best place for them. CRED are proud to support Chisomo in their work, especially their holistic approach, which includes outreach, providing shelter and education, and reintegration into the wider community. The drop-in centre and outreach programme are focused on turning round the lives of the street children of Lusaka. A child of the street is a boy or girl under the age of eighteen living or working on the streets, parks and market places. Some children work on the streets in order to sell or carry baggage for the public for little pay whilst others just beg from the public. Their earnings may be taken home to feed a sick mother or help an elderly grandparent who is too old to work. Other children have made their homes on the street. They work, beg, steal, fight and even die on the street, fending for themselves and isolated from their families. The project strives to work with communities to prevent more children becoming street kids and also works to offer a save-haven for those already living on the streets, for whom life is a daily struggle. The project’s outreach programme meets street kids where they are at and allows Chisomo staff to build trust and friendship with them by providing simple but fun activities as football games. Chisomo also works with mothers in targeted, high-risk areas of the city, to establish support groups where women can build strong community, learn more about health and nutrition and even explore the possibility of micro-enterprise. The aim of these groups is to empower women to be able to support their children so that, over the coming years, fewer young people will be left to fend for themselves on the streets. The Chisomo drop-in centre provides a place where young people can find food, clothing, friendship, washing facilities and counselling. For those who progress into the residential centre, these is also educational support. Through a system of tracing and reuniting, Chisomo eventually works to reintegrate children into their home communities and families, where possible.